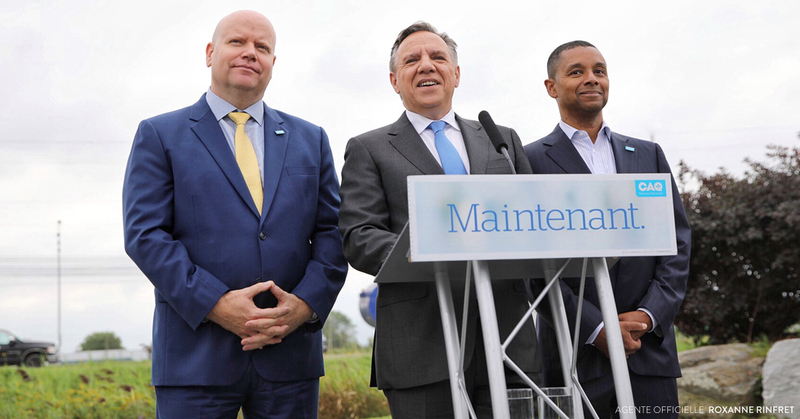 Flanked by his candidate for Vachon, Ian Lafrenière, CAQ leader François Legault announced in Saint-Hubert today his intention to improve highway 30 between highways 20 and 10. A CAQ government will upgrade highway 30 to three lanes during its first mandate, a project estimated to cost $100M. “Highway 30 is a key artery. It goes through all Montérégie and is essential to the economic development of the region”, he explained. In Montérégie, chronic road congestion is a growing problem. It impacts economic development and affects the quality of life of people in the region. Despite this, the Liberals have neither calendar nor budget to alleviate the situation. “The Liberals have been in power fifteen years and if we want things to change in Québec, if we want to do more and to do better for the people of Montérégie, we have to start by replacing this government. The only party that has the team to defeat the Liberals and form our next government, is the CAQ”, François Legault said.